Well, back when Sickert and crew did a Kickstarter for their album Soft Time Traveler, I knew I wanted to support their project, and as I read through the possible Kickstarter rewards, I came across one very interesting item…an opportunity to have the band cover any song you wanted. 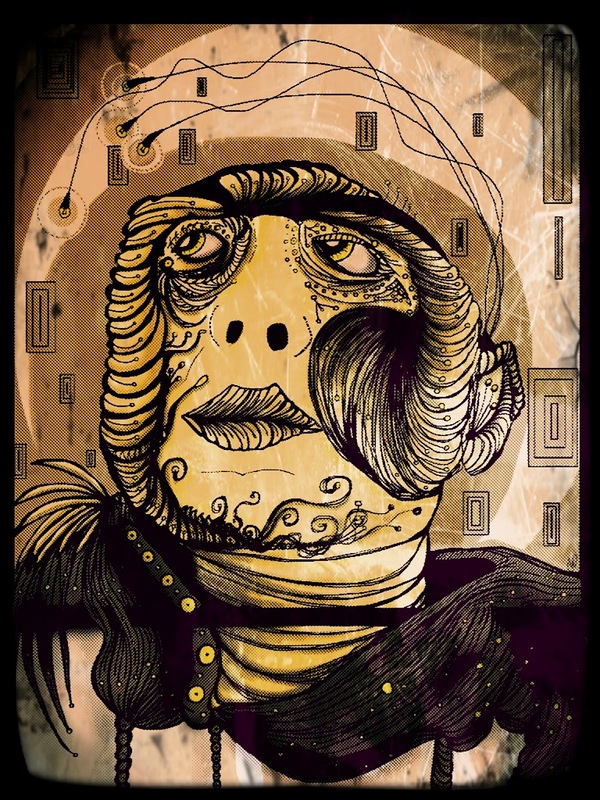 I figured the best way to close the circle of a band writing a song based on the artwork of a guy in a band is to have the guy in the band’s band cover the song inspired by his work. Confusing? Possibly. It’s singing about singing about art. That should clear it up for you. 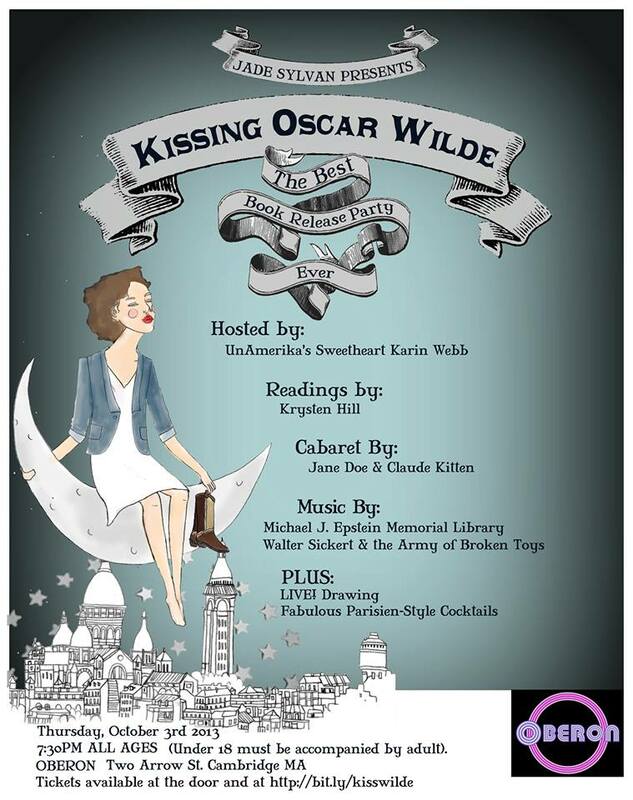 Conveniently, our bands also share the stage on October 3 at Jade Sylvan‘s Kissing Oscar Wilde book release party! Why go to a book release party in a basement, when you can attend one in a giddily drunk underground nightclub? What about a nightclub with the glamour of prewar Paris – or what you imagine glamour was like in prewar Paris? 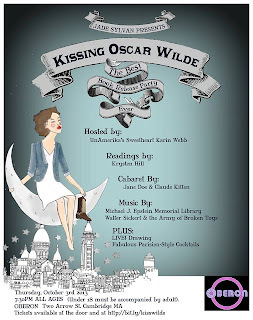 Author Jade Sylvan obliges with the fabulous launch of Kissing Oscar Wilde, their star-crossed memoir about identity, art, and romantic friendships. Staged performances with AUDIENCE PARTICIPATION! LIVE DRAWING by: Zombie Romance (another participant in the MJEML Art Exchange)! Previous PostMJEML is house band for The Encyclopedia Show Season 2! Starting 9/9/13 with DINOSAURS!